If you’re looking for the perfect gift for the wine lover in your life – even if that wine lover is you – look no further than our mixed 12-pack of Bordeaux half bottles packed in attractive wood boxes. We selected an assortment of “Left-Bank” mostly Cabernet Sauvignon-based Bordeaux, ranging from everyday to Classified Growth wines, and we even threw in a bottle of Sauternes. All wines are from the 2014 vintage, which has shaped up to be the best vintage following the historic back-to-back vintages of 2009 and 2010. The long growing season and a glorious autumn allowed for both maximum ripening and concentration. Yet ultimately it was the cool summer weather that has determined the style of the wines, with low pH and great body the wines of 2014 Bordeaux will generally show both power and freshness. This classified “Fifth Growth” estate is one of the most recognized producers in the world. Since 1973 it has been owned by Jean-Michel Cazes and is now run by his son, Jean-Charles. Classified “Fourth Growth” estate owned by the Rothschild family and adjacent to the vineyards of Château Lafite Rothschild. A property on the rise. Philippe Dourthe is at the helm of this family owned estate known for producing wines with depth of fruit and a firm and tannic structure. Recently purchased by the Cathiard family, who also own Château Smith Haut Lafitte in Pessac-Léognan and Château Beauregard in Pomerol. Pédesclaux recently enlarged their vineyard holdings with the purchase of 29 acres situated on the Milon plateau. These vines are located next to parcels owned by Château Lafite Rothschild and Château Mouton Rothschild. A complete renovation in 2003 brought Château du Glana up to the standards of modern times in its wine making and vineyard management techniques. A genuine value wine from Saint-Julien. One of nine “Cru Bourgeois Exceptionnels” as classified in 2003, and one of the top two producers in the Moulis-en-Médoc appellation (alongside Château Poujeaux). Sociando-Mallet was a forgotten and derelict property by the time it was bought by Jean Gautreau in 1969. The estate has since seen considerable expansion and modernization, and subsequently a reputation for quality. 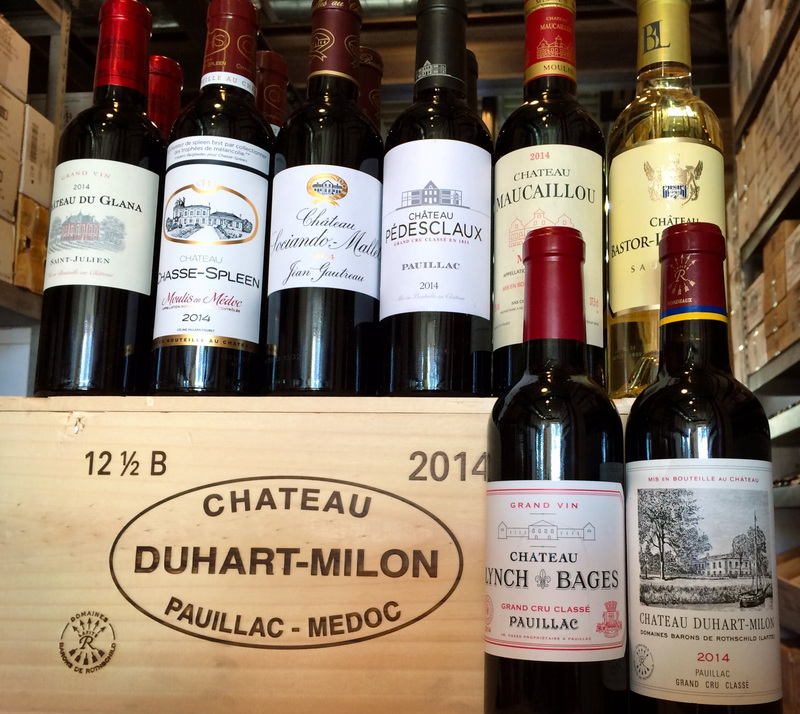 If one or two 1.5 liter magnum bottles of Bordeaux make more sense as a gift for your wine loving friend or your cellar, we have a large selection of 2012 Bordeaux to choose from. Prices range from $160 to $290 for some of the top producers of the region, including: Saint-Émilion Premier Grand Cru Classé Château Troplong Mondot, Second-Growth Saint-Julien Château Léoville-Barton, and Third-Growth Margaux Château d’Issan, among many more.